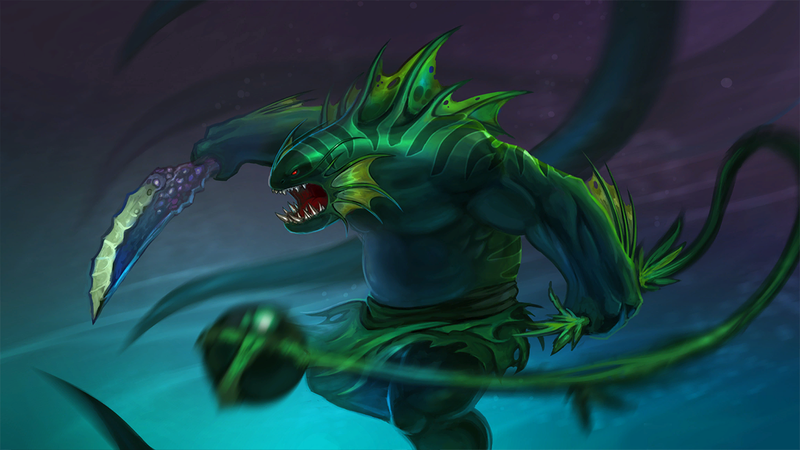 Ever think to yourself, man, Tidehunter is pretty much just a really buff Squirtle? No? That just me? Regardless, someone is working to mash together both Pokemon and Dota, and it's an idea that might just be crazy enough to work. It's called DotaMon, of course, and it's a mod that's being developed by Sma11P1ays. Here's how it works. There are two teams of five players each. Each player controls a trainer with 6 custom abilities, which they can use to capture, summon and eventually battle with DotaMon. Right now, there are 151 DotaMon in the mod, which is kind of a perfect number. A Dotamon has access to 4 active abilities and one passive ability. It can reach lvl 10 and can start at any lvl from 1 to 7. At the start of the game, most wild Dotamon will be lvl 1, with some being lvl 2. As the game progresses, the starting levels of wild Dotamon will increase. A Dotamon will start with one targetted damaging ability - in this case, Magikarp starts with Splash. The next 3 abilities are unlocked depending on evolutions. Magikarp learns Surf at lvl 3, evolves into Gyarados at lvl 6, learns Twister at lvl 7 and then Hyper Beam at lvl 9. Most later moves will be skill shots to encourage an interesting final battle which will hopefully play similarly to Bloodline Champions. A Dotamon can also evolve by using the appropriate elemental stone. In addition, no 2 Dotamon will ever be the same. As you can see in the next picture, there are 2 Gastlys in the Centre. Both Gastlys have different stats and they even have different passive abilities. Sounds pretty neat, right? I especially appreciate that the examples are of Magikarp and Gyarados, though you might have to click expand on the pictures to get a good view of that. The mod isn't in the workshop just yet, but they're still working on it. The main problem is coding all the abilities for the DotaMon, which is a task that takes a considerable amount of time. We'll make sure to update you, should it start existing in a public playable state. You can read more details about DotaMon here.